A new Apple data center being built in Denmark is focused on returning to the community. The data center in the Jutland region will be partly powered by recycling waste products from farms. 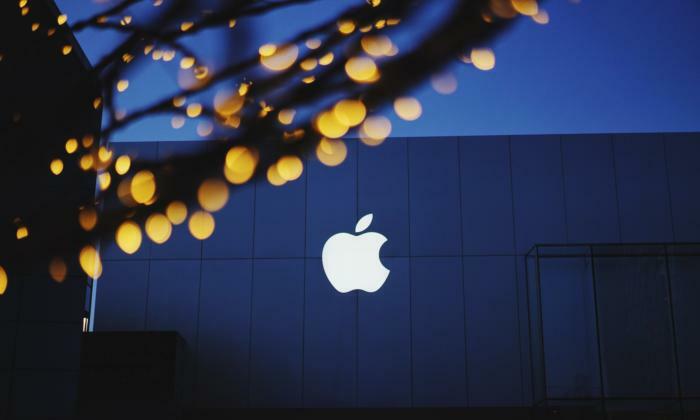 Apple is working with Aarhus University on a system that passes agricultural waste through a digester to generate methane, which is then used to power the data center. The digester reaction turns some of the waste into nutrient-rich fertilizer, which Apple returns to local farmers to use on their fields. It's a "mutually beneficial relationship," Apple said in its environment report for 2016, released this week. The data center in Denmark will be fully powered by renewable energy and won't put stress on the local grid, Apple said. Apple is also building a data center in Athenry, Ireland, that will be powered by energy generated by ocean waves. The iPhone maker is supporting the Sustainable Energy Authority of Ireland to develop the new source of energy, the company said. Apple's making a major push to be one of the greenest companies on the planet. It's new corporate headquarters in Cupertino, called Apple Park, will run on renewable energy. The company has cut its use of toxic materials and is also using more recycled materials in its products and packaging. Apple's commitment to renewable energy was applauded by activist organization Greenpeace. Samsung, Huawei, and Microsoft now need to catch up, the organization said. Siri, iMessage and other cloud-based applications are processed at Apple's data centers. The company has five data centers in the U.S., which are all powered by renewable energy. The two new data centers in Europe are expected to come online this year. The company is spending about US$1.8 billion to build the two data centers. Apple also uses colocation facilities worldwide depending on the capacity it needs. All of Apple's data centers are operated on renewable energy, and that's a goal Apple is chasing for all its facilities. About 96 percent of Apple's facilities worldwide are now run on renewable energy, the company said. Data centers tend to be the most power hungry tech facilities, and electricity requirements go up as computing moves into the cloud. As servers are saddled with more tasks, the processing requirements go up. As a result, more heat is generated, and Apple has found an innovative way to recycle heat. Many data centers find ways to recycle heat, while others let the resource go waste. Amazon recycles heat to warm up offices nearby, and other companies recycle the heat to generate hot water. Iceland and the Scandinavian countries are hot spots to establish data centers because of naturally cool weather and easy availability of hydropower.